Gaikai, the cloud gaming service, announced that they have partnered with En Masse Entertainment and En Masse Entertainment’s award-winning massively multiplayer online game, TERA, is now available to stream on tera.enmasse.com/demo and across Gaikai’s cloud streaming network. Using Gaikai, gamers can instantly experience the action combat MMO in a timed demo that requires no downloads or installations. TERA (The Exiled Realm of Arborea), which launched in North America and Europe on May 1st, is a new breed of massively multiplayer online game, offering the addictive gratification of constant action in a vast, beautifully crafted, fantasy world. The game is published by En Masse Entertainment and developed by Bluehole studio. TERA takes the fight to traditional MMOs with enhanced aiming, dodging, and tactical timing that results in intense and rewarding combat. An introductory demo of the entire, award-winning world of TERA is now available to new fans free of charge through Gaikai's cloud gaming service. En Masse Entertainment is dedicated to building and publishing games that meet the highest industry standards; games made by gamers for gamers; games that reflect both passion and fun. With TERA, that dedication plays out as players battle their way through a beautiful yet dangerous fantasy world. Players actively aim, dodge, and block, as the game’s real-time combat system takes into account player skill and position as well as stats. The immediacy of Gaikai's service throws players instantly into the action, pitting them against ravaging armies who threaten to destroy the very gods who hold the world together. 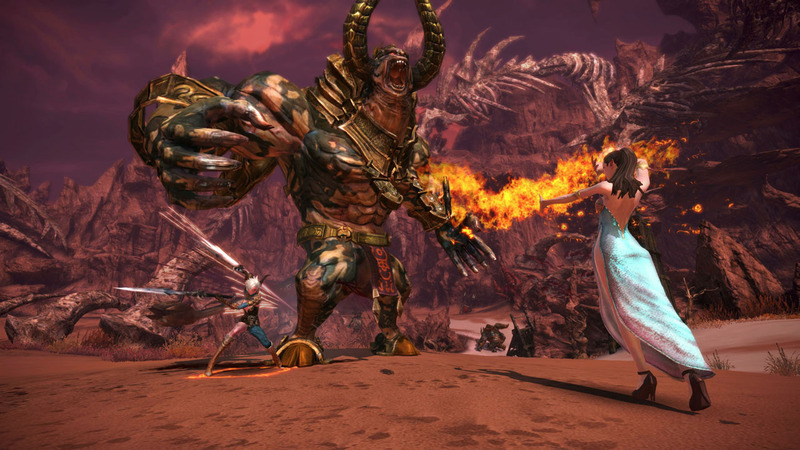 You can play the free demo of TERA powered by Gaikai. You can try the demos of other games in Gaikai's catalog at Gaikai's games page.